Thank you for helping us find street lights and security lights that are out or are malfunctioning. We ask for your name and phone number in case we need more information to help fix the problem. Just complete the form then click on the submit button. Our crews will see that the light(s) are repaired as quickly as possible. OR - What is the address or closest address of the problem you are reporting? Where is the problem light located on the property? If no address is available, please tell us the name of the street and which side of the street the light is on – North, South, East, or West. (For example: NW 1st Avenue, south side of street). Also, tell us the number of streetlights from the closest cross street, e.g., 3rd streetlight east of 1st street).  The Energy Cooperative does not reveal any personal information that users provide to us through our Web site to any third party. All information provided by customers on this form is kept strictly confidential and secure to prevent unauthorized use of personal information.